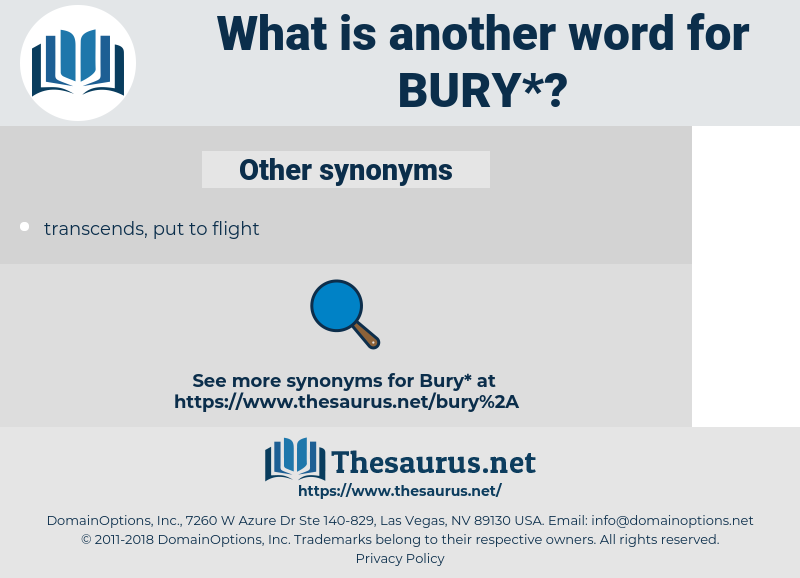 What is another word for bury? To hide in the ground: to place in the grave, as a dead body: to hide or blot out of remembrance:- pr. p. burying; pa. p. buried. lay, conceal, hide, Hid, disguise, camouflage, shove, abandon. uncover, dig out, disinter, reveal. exhibit, avow, raise, betray, burn, advertise, disclose, cremate, manifest, divulge, confess, lay open, show, parade, unmask, unwrap, display, publish, bare, unveil, expose, make known, tell, promulgate, uncoffin, lay bare, flaunt, admit. A small party of men was detached from the main body to go on into the village to bury the dead of both sides. Sell your little estate there, if you have one; sell it at any price: give it away and let the dead bury their dead. 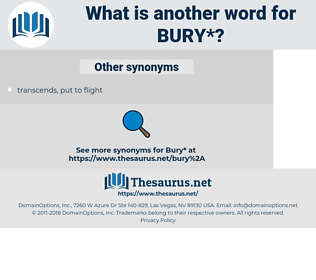 berry, barrie, Berrey, Berri, barre, Berrie, barey, Barry, buerry. engraft, embed, posit, implant, plant, imbed, deposit, fix, situate.